Kara (Boho Berry) did this excellent review of the Rhodia Goalbook! In the link you can see her blog post review, and you can scroll down to the bottom of it to see her video review. The Rhodia Goalbook was specifically designed for bullet journaling, and addresses issues that bullet journalers have requested like forward planning pages. You can see more photos of the Goalbook’s features in this post. Things that Kara liked about the Goalbook are the numbered dot grid pages, the index pages, the undated calendars, the soft cover, 2 ribbon placemarkers, expandable back pocket, and the fountain pen friendly paper. Something she did not particularly like is how dark the dots are printed. 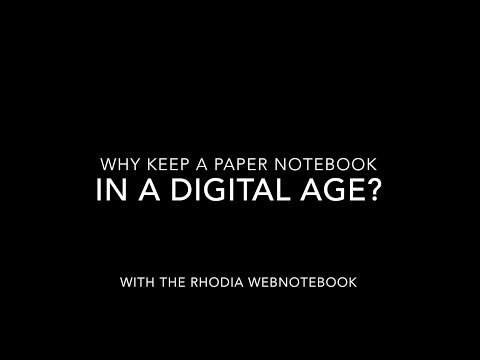 The darkness of the dots is actually for a good reason: The paper in the Rhodia notebooks is Clairefontaine paper made in France, and because of environmental regulations, the manufacturer cannot add chemical stabilizers to the inks. Chemical stabilizers allow for lighter printed dots. Other brands are made in other countries where the regulations might not be as strict. For example, Leuchtturm notebooks are made in Taiwan. Rhodia products are very high quality and are made to strict environmental regulations. Those regulations mean the result is an exceptional paper that is also environmentally friendly and sustainable. But the trade-off is darker dots. In the end it comes down to choices, and personal preferences. For more information about the Rhodia Goalbook, including where to buy, click here. Hi Mary, I don’t know but I can suggest this to the product development team! What is the likelihood of Rhodia coming out with a hard cover goal book?